Rep. Greg Steube’s proposal would shield vets from future loss of benefits. 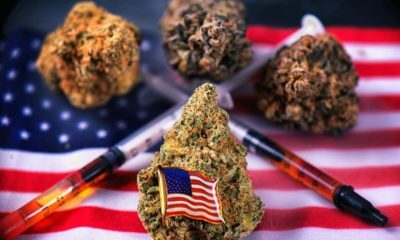 On Tuesday, a Republican U.S. legislator from Florida proposed another bill that looks to protect military veterans who use medical marijuana. Rep. Greg Steube’s proposal would sign into law existing VA policy that ensures vets can’t lose benefits over cannabis use — and go a step further by ensuring that future administrations could not penalize them either. “It’s important that we respect states’ rights as outlined in the 10th Amendment of the United States Constitution,” Steube was quoted in his office’s press release. The congressperson served in the Iraq War and is on the House’s veteran affairs committee. A 2017 survey showed that one in five military veterans use marijuana for a medical condition. Many of the health conditions suffered by veterans are the ones most associated with medical cannabis treatment, from chronic pain to PTSD. Many see widening vets’ access to the drug as one strategy for combating the startlingly high rates of opioid addiction among their ranks. Veterans have also been among some of the more visible faces in marijuana advocacy — some have been first in line to buy marijuana in their state. In the face of such widespread usage, some cannabis businesses have even marketed their special attention to the needs of those who have served in the country’s armed forces. But currently, VA policy states that its physicians may not recommend medical marijuana to patients, although vets are encouraged to discuss any cannabis treatment with their physician. Vets in VA nursing homes are explicitly banned from using medical marijuana on premises — again, even in states with functioning medical marijuana programs. “As a veteran, I’m committed to ensuring that veterans receive the care they deserve, and I know that sometimes that care can include medical marijuana,” commented Steube after introducing the bill. 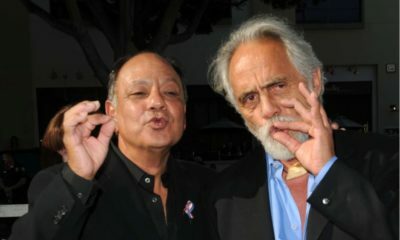 Their high rates of usage has made vets’ cannabis rights the topic of much political concern, but few results as of yet, besides the 2017 change in House policy to allow doctors to talk about weed with their patients, in addition to being able to record such data in patient records without fear of those vets having their benefits revoked. Last year, a bi-partisan team of legislators announced plans to sponsor cannabis access legislation for veterans. In fact, similar bills to Steube’s have been regularly proposed — one last year by Democratic Farmer-Labor Party Rep. Tim Walz did not make it out of committee, and another presented by Rep. Earl Blumenauer last month would give VA doctors the ability to recommend cannabis. Proposed legislation was also sent to the U.S. Senate judiciary committee in February and introduced in the House in September that would allow veterans to possess and transport medical marijuana, in addition to securing their right to talk to their VA physician about their usage.